MongoDB is a free, distributed, and an open-source document database at its core that powers high availability, horizontal scaling, and geographic distribution. It stores data in JSON-like documents and supports Ad hoc queries, indexing, and real-time aggregation. The Ubuntu package management tools ensure package consistency and authenticity by verifying that they are signed with GPG keys. The following command will import the MongoDB public GPG key. Create the /etc/apt/sources.list.d/mongodb-org-3.4.list list file using the command below. We need to create a unit file, which tells systemd how to manage a resource. Most common unit type, service, determine how to start or stop the service, auto-start etc. Create a configuration file named mongodb.service in /etc/systemd/system to manage the MongoDB service. Copy the following contents in the file. #Unit contains the dependencies to be satisfied before the service is started. # Service tells systemd, how the service should be started. # `ExecStart` defines the startup command for MongoDB server. # Install tells systemd when the service should be automatically started. # `multi-user.target` means the server will be automatically started during boot. Start the service with systemcl. Check if the service has started properly. The output to the above command will show `active (running)` status with the PID and Memory/CPU it is consuming. 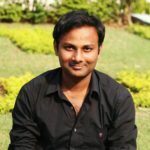 Enable auto start MongoDB when system starts. Exit from the MongoDB shell. Warning: All configuration and databases will be completely removed after this process. And it is irreversible, so ensure that all of your configuration and data is backed up before proceeding. Stop the service using the above command and run below command to remove packages. Remove data database/directories and log files. You have now learned how to install (and uninstall) MongoDB on Ubuntu 16.04. If you have ever faced issues installing Kafka on Ubuntu, here’s a step wise guide.